Candice Carty-Williams is a marketer, author and journalist based in London. Born in 1989, the result of an affair between a Jamaican cab driver and a Jamaican-Indian dyslexic receptionist, Candice worked in the media before moving into publishing aged 23. In 2016, she created and launched the Guardian and 4th Estate BAME Short Story Prize. 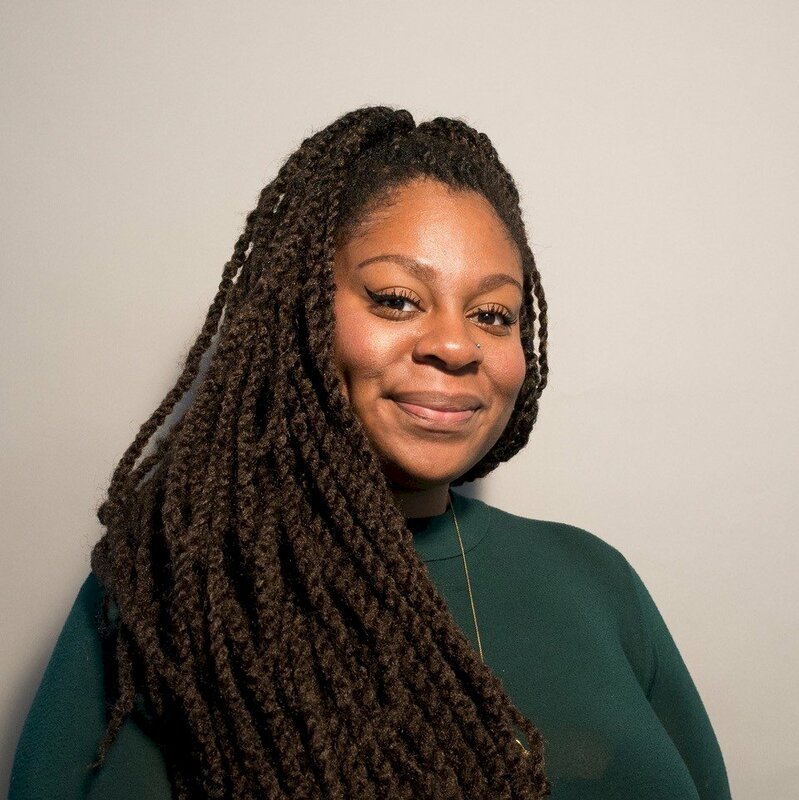 She is also is a Penguin Books WriteNow mentor, and contributes regularly to Refinery29, BEAT Magazine, Guardian Guide and i-D. Here, ahead of her appearance at Chipping Norton Literary Festival, she talks Britishness after Brexit, and her debut novel Queenie. Despite its title your first novel isn’t really a royalist one, is it? It’s not, though there is definite homage to HRH in the book in that Queenie’s three singular best friends are all thrown into one group chat (for brevity when relaying new dramas) that she titles ‘The Corgis’. I’m not much of a royalist myself but I have a real soft spot for the Queen’s corgis. As I wrote the novel, Queenie herself didn’t actually have a name because no name I could think of felt good enough for her. The name came about when, frustrated, I turned to my mum and asked, ‘What name might you give a girl who would probably think it was really extra but actually it’s quite nice and special?’ and she said ‘Queenie?’ without taking a breath. And so I had a lightbulb moment that I effectively stole from my mother. 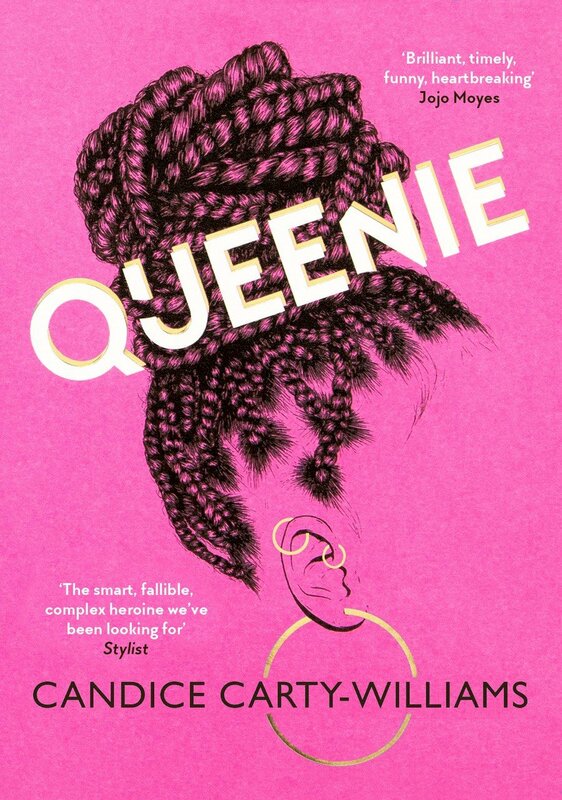 Having Queenie as the title felt right too, especially at a time when black women were using the term Queen to define, express and self-empower ourselves in a way that we haven’t typically been allowed to. What does the book celebrate? Queenie ultimately celebrates flawed women, and also women who make reckless mistakes. We all have to learn, right? There isn’t any judgement in the book, either. As a young woman who, like so many others similar to me, already punishes myself for not being X or Y enough, I wanted to read something that celebrates our failings without punishing us for not being perfect. Queenie also celebrates the multitudes that black women contain. In most of the books I grew up reading, or the films or TV I grew up watching, if there was a black female character at all, she was the sassy best friend, the crazy, loud woman patting her weave, or she was the object of exotic sexual desire and/or the temptress. I ended up seeing myself as a supporting character to my white friends in my own life because of never seeing myself represented. I was minimising myself because I had never been shown a black woman like the black woman I am. I’m not sassy, I’m an introvert, I’m mainly shy, and I am definitely not a temptress. I want to celebrate the women that society forces into moulds that we don’t quite fit into. You launched the BAME Short Story Prize – was that so you could give that community more of a voice? Yes, absolutely – this was the only reason I launched the prize. I’d worked in publishing for less than a year before getting completely fed up not to see myself in the books I worked on. I quickly realised that so many underrepresented people who have stories ready to burst from them don’t know what a literary agent is, what a submissions process is, what ‘unsolicited’ means; the people who are published mainly have access to that knowledge. So I wanted there to be a way that those writers could share their stories with us, without having to do that extra work, or know things that most people have no clue about. There was no initiative like it at the time, so in its first year so much of it was one big learning curve, but it was still a success and we were able to share the entrants and their stories with agents. I ended up having to sift through almost 300 entries by myself, but it was a joy. I will never forget reading ‘Black Flag’, a short story by Guy Gunaratne (who went on to be longlisted for the Booker Prize with his debut novel In Our Mad and Furious City). Your immediate heritage sounds quite interesting, could you elaborate on it? That’s just a pretentious way of asking you to talk about your parents. Are you asking where I’m really from? Ha. South London, by way of Jamaica. My mum was born here, my dad was born in Jamaica. My mum is dyslexic and she’s dyspraxic but didn’t know it until she was in her forties. My dad came here when he was 16. He was driving cabs when they met and would collect and drop her home from her night-time reception job. What she didn’t know was that he already had a partner and three children (with one more to come at the same time as me). After driving cabs he pretty much worked for London Underground until he retired. I also know that he squatted for years while he saved up money to buy a house, which is maybe where I get my determination from. Neither of them are readers, though my dad does have thousands of records, which is maybe where I get my love of collecting things (in this case, books) from. My grandparents were all born in Jamaica, as were my great-grandparents with the exception of my grandad, who was born in India. April is our Best of British Issue, at a time where Britain is in some disarray, are we foolish to embrace such a theme as a magazine? It’s not just about Britain being in disarray that makes this an… interesting theme. I feel a bit scarred by the concept of Britishness after Brexit. I was on a bus to Croydon after the referendum and a man was telling anyone who didn’t look British that they couldn’t sit next to him. It was horrible to witness, and I felt uniquely excluded from this place I’ve been living in for 29 years. Plus, after everything that’s been going on with the Windrush generation, what is Britishness when it’s given to possibly be taken away? As much as I’m British, I’m Jamaican. My grandad was brought here to work to make Britain better, and he worked hard to do so. My nan joined him because they were offered a ‘better life’, and now there’s a chance they’ll be sent back? What’s that about? So yeah, Britishness doesn’t have the best connotations for me. It might be semantics, but I feel a bit uncomfortable with the term these days. What’s the best of something that isn’t the best for everyone within it? Sorry if it sounds like I’m telling you off… though maybe I am. As a journalist, who have you met? I’ve met so many people who have been kind enough to talk to me about their lives and their work. I interviewed amazing superstar singer Lizzo last week, which was genuinely life-changing because she’s not just an incredible performer but an invigorating, inspiring and exciting person. I also interviewed Chimamanda Ngozi Adichie which was unbelievable. She was so wise and kind, and open, even after she answered the phone and I opened with a long and loud ‘Hiiiiiiya’ thinking I was about to be connected to her assistant. My ultimate dream interview is obviously Beyoncé. Has journalism contributed in any way to your writing a novel? Maybe? I think being so deeply interested in people has meant that when I write characters, I tend to let them lead me because I’m so driven by human nature. Actually, when I interviewed CNA she said, ‘I think there are two different kinds of writers. There are writers who are interested in ideas primarily, and writers who are interested in people primarily, and I am interested in people.’ And I felt that. 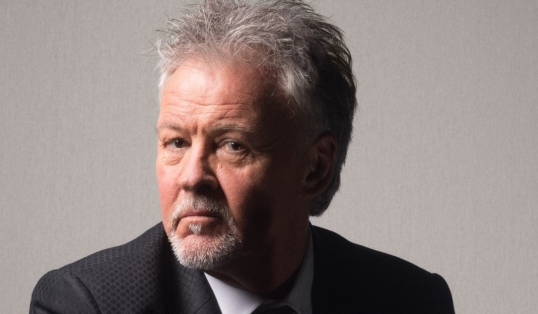 You’re appearing at Chipping Norton Literary Festival – how do you approach such gigs? As far as festivals go, this year I’ll be hitting the circuit for the first time. I am learning not to stress myself to oblivion over the thought of public speaking as I always do, because once I get up there I’m fine. I try not to prepare any answers or what I might like to say too much, because it’s all in there and should come out organically. I’m excited, though. Whenever I leave the bubble of south London and head to anywhere remotely green it’s a real event for me. I’m mainly looking forward to some fresh air and getting to meet and talk to some new people. I’m also interested to know how non-Londoners receive Queenie. One thing that I can’t talk about yet – actually, two things I can’t talk about yet. But what I can say is that I threw my UK and US editors my first draft of novel two before Christmas and said ‘please don’t give me any edits for a long time’ but that time is fast approaching. I’m almost certainly not allowed to say anything about it yet, but what I can say is that if you liked The Corgis, you’re probably going to love book two, which is like a DELUXE version of the group chat experience. HIGH DRAMA. Queenie by Candice Carty-Williams is published by Trapeze on 11 April. The author is at Chipping Norton Literary Festival 27 April, 12-1pm, Methodist Church.